Volvemos puntuales con las actualizaciones de EvidenceUpdates en Neonatología, en esta ocasión del primer semestre del 2013, tanto para revistas biomédicas como en Colaboración Cochrane. - Maternal oxygen administration for fetal distress. - Randomized trial of iron supplementation versus routine iron intake in VLBW infants. - Low-dose heparin use and the patency of peripheral IV catheters in children: a systematic review. - Nasal versus oral route for placing feeding tubes in preterm or low birth weight infants. 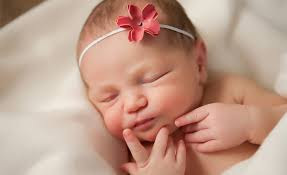 - Magnesium sulphate for women at term for neuroprotection of the fetus. - Multinutrient fortification of human breast milk for preterm infants following hospital discharge. - Naloxone for opiate-exposed newborn infants. - Transpyloric versus gastric tube feeding for preterm infants. - Early trophic feeding versus enteral fasting for very preterm or very low birth weight infants. - Surgical versus medical treatment with cyclooxygenase inhibitors for symptomatic patent ductus arteriosus in preterm infants. - Infant position in neonates receiving mechanical ventilation. - Slow advancement of enteral feed volumes to prevent necrotising enterocolitis in very low birth weight infants. - Lactase treated feeds to promote growth and feeding tolerance in preterm infants. - Ibuprofen for the treatment of patent ductus arteriosus in preterm and/or low birth weight infants. - Effects of targeting higher vs lower arterial oxygen saturations on death or disability in extremely preterm infants: a randomized clinical trial. - Prophylactic systemic antifungal agents to prevent mortality and morbidity in very low birth weight infants. - Lung lavage for meconium aspiration syndrome in newborn infants. - Delayed introduction of progressive enteral feeds to prevent necrotising enterocolitis in very low birth weight infants.